Please click here to see the schedule and class descriptions for available group classes. Please scroll down to see the schedule and class descriptions for available supervised strength classes. Please click here to see the schedule and group descriptions for the available wellness groups. 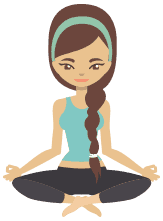 Please click here to see the schedule and course descriptions for the available wellness courses. Please click here to see the schedule and workshop descriptions for the wellness workshops. WELLNESS CLASSES are at least one hour in duration and are designed to provide a stand-alone activity to achieve a certain health outcome. Most participants attending these classes attend twice weekly at specific times to specific classes and pay using a 10 session clip card. However, these classes are also open to members as part of their prescribed exercise. Is a low to moderate intensity exercise program that is based on the Heart Moves program developed by the Heart Foundation to assist people to become more active and live a healthy lifestyle. Is a falls prevention program developed in conjunction with Queensland Health to facilitate better balance, co-ordination and strength with an emphasis on fun! Lungs in Action aims to extend the benefits of rehabilitation by providing a safe environment in which those with stable chronic disease can maintain physical and social activities. Primarily intended for people who have completed a pulmonary rehabilitation program and are looking to maintain and improve their health and function. However, we also welcome anyone looking to manage other less severe respiratory conditions. Lift for Life is an evidence-based strength training program born out of more than two decades of research by Baker IDI Heart and Diabetes Institute. Clinical trials showed an average reduction in HbA1c of 1.2% over a 6 month period, providing evidence that increasing and maintaining muscle mass assists with controlling blood glucose in people with type 2 diabetes.